Our emphasis is on Bible preaching, and sober, reverent worship. This is because we know that God is a holy God, who commands us to know Him as He has made Himself known, and who directs us to worship Him soberly and reverently in spirit and in truth. In keeping with our Reformed heritage, we love and defend the truth of God’s sovereign grace. At the same time, we know that our duty is to love God and our neighbour, and we seek guidance from His Word on how to do that in every area of life. Our desire is that God would use us to give lost people the peace that is only found by repentance from sin and trust in the finished work of Jesus Christ on the cross, and that they might experience the abundant life that God gives to all those who believe in Him. 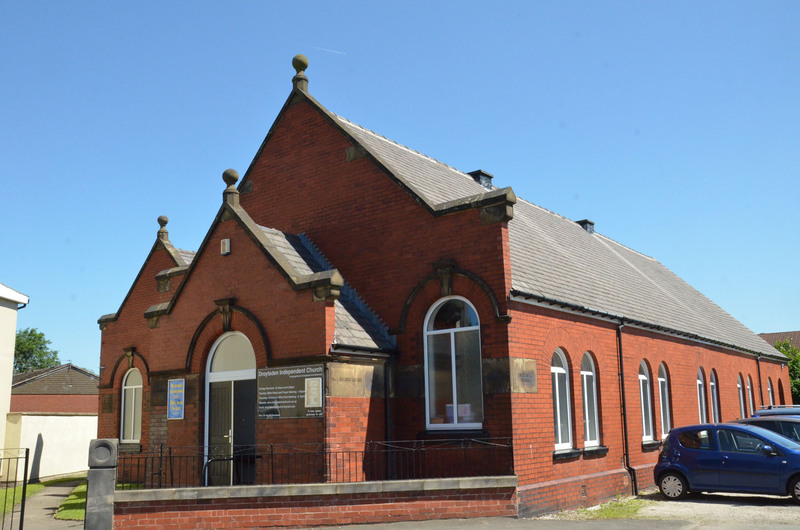 Droylsden Independent Church was founded in 1969 by 15 members of a Congregational Church that had decided to become part of the recently formed United Reformed Church.The URC proposed a statement of faith that questioned the inerrancy of scripture, so compelling 15 members to resign. For some time the 15 met in homes where three of the members preached and led Sunday services. It was then decided that we should covenant together as a continuing Congregational Church with Mr E. B. Greenald, B.D. leading the church as part-time pastor. After some weeks we were contacted by a local Temperance Society with an offer to take over their building. After four years we were able to call Rev E. B. Greenald as full-time pastor in the church. Mr Greenald stayed with us until 1969. Rev Bryan Jones served the church from 1978-1981 and the Rev Gwynne Evans, 1984-1999. The church is a member of the Evangelical Fellowship of Congregational Churches.